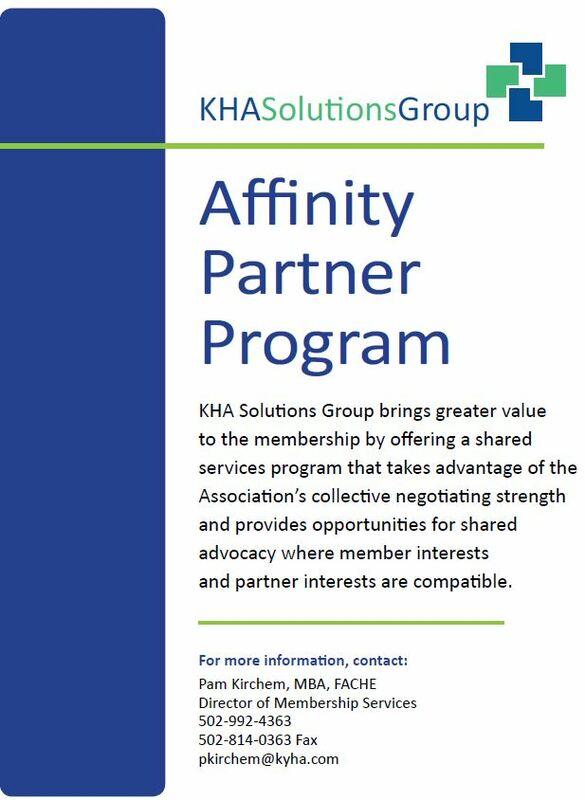 KHA Solutions Group brings greater value to the membership by offering a shared services program that takes advantage of the association’s collective negotiating strength and provides opportunities for shared advocacy where member interests and vendor interests are compatible. KHA Solutions Group brings greater value to the membership by offering a shared services program that takes advantage of the association’s collective negotiating strength and provides opportunities for shared advocacy where member interests and vendor interest are compatible. The Affinity Partner Program develops mutually beneficial relationships between hospitals and private sector – relationships that are relevant, cost-effective and supportive of our hospitals’ priorities. The Affinity Partner Program is your source for a wide range of quality products and services designed to help your organization operate more cost-effectively. 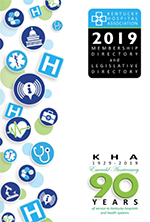 As a wholly owned subsidiary of the Kentucky Hospital Association, we listen to you and select products and services that meet your organization’s changing needs. KHA has established this program as a benefit to its members. The affinity Partner Program provides member discounts and special offers that would not be generally available outside of this program. For more information contact Pam Kirchem at KHA Solutions Group.